’Tis the season to be jolly — but it’s not so jolly for many consumers, as the holidays can cause financial stress and often put consumers into debt. According to a nationwide survey from Experian, the primary reason is that most consumers don’t create budgets and are unprepared to cover added expenses beyond gifts, such as postage costs, hostess gifts, gift-wrapping supplies and greeting cards. Failure to develop a budget (62 percent of survey respondents) is a main detractor from holiday enjoyment. Fifty-six percent of those surveyed say they spend too much during the holiday season, while 55 percent say they feel stressed about their finances during the holidays. 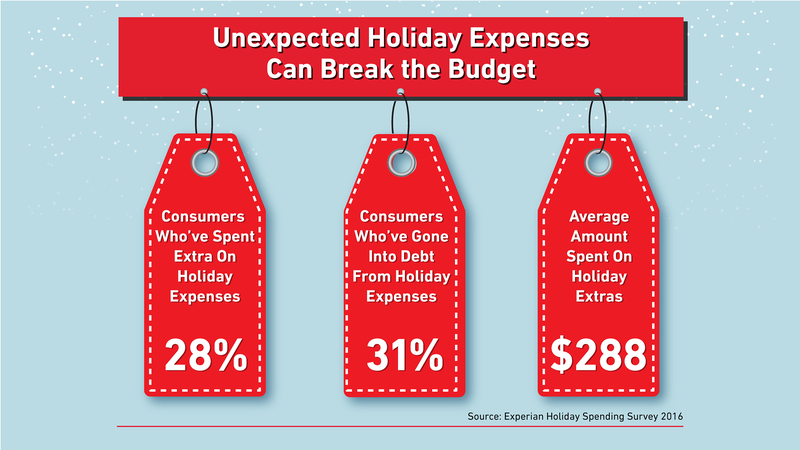 Respondents reported spending an average of $288 during past holidays on unexpected expenses, and 28 percent actually spent more on these than on gifts. 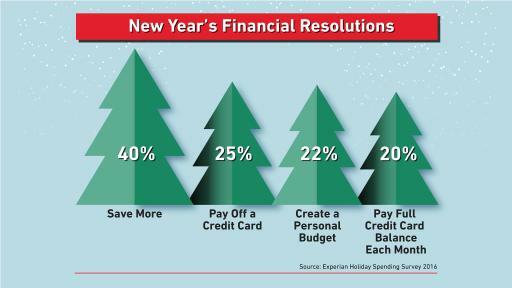 These added expenses impact consumers’ finances, with 31 percent saying they have actually accrued credit card debt as a result. 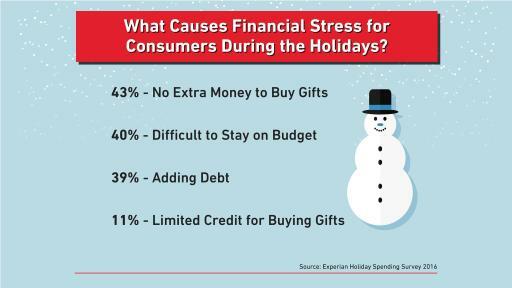 What Causes Financial Stress for Consumers During the Holidays? The risks consumers are willing to take to get a good deal and save money, such as purchasing from an unknown or unsecure website, are equally troubling. Nearly a quarter (23 percent) say they would risk becoming a victim of identity theft for a good Cyber Monday deal. Additionally, 46 percent say they are simply not concerned about identity theft this holiday season. 48% said they spend more than expected. 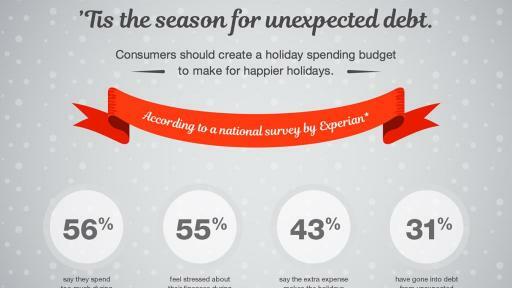 44% feel obligated to spend more than they can afford when buying holiday gifts. 43% of those who feel stressed about the holidays say it’s because they have no extra money to buy gifts — 8% higher than 2015. Make a gift list: Create a list of the people you need to buy presents for and how much you will spend on each person. Giving yourself a set amount at the start will help you stay focused when you’re on the gift hunt. Start early: By avoiding the Christmas Eve shopping rush, you’ll find better deals — and avoid overspending under pressure. Budget for unexpected expenses: Look outside your gift list and think about the ways you spend extra money around the holidays. Hostess gifts, baking and cooking supplies, and postage costs can add up to big expenses. Keep track of spending: Make sure you track every dollar you spend, and track spending as you go. This will hold you accountable. Be careful with credit: Use credit cards only if you are sure they will not tempt you to stretch your budget and can be paid in full when you receive your statement. Also, check your credit score periodically to see how your spending is affecting your score. Want to know what kind of holiday spender you are? Visit the Experian Credit Education blog to take our interactive quiz. For more information on budgeting, as well as how debt can affect credit scores, visit the Experian Credit Education blog. Consider enrolling in a credit monitoring service such as Experian CreditWorks℠, which can help you better track and manage your credit report and score. The online survey was conducted by Edelman Berland on Experian’s behalf from Oct. 5 to 12, 2016, among 1,000 adults 18 years of age or older who reside in the United States. This online survey is not based on a probability sample; therefore, no estimate of theoretical sampling error can be calculated. For complete survey methodology, including weighting variables, please contact ann@pitchpublicrelations.com. The Experian Consumer Services division provides credit monitoring and other informational products, such as identity protection, to millions of consumers via the internet. The organization enables consumers to monitor their credit reports online, check their FICO® Scores and protect against identity theft. Its products include Experian CreditWorks℠ and ProtectMyID®. 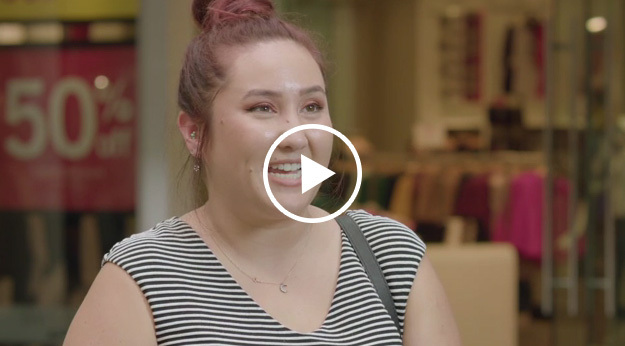 Experian Consumer Services has established integrated, cobranded relationships with leading online financial destinations that provide consumers with a broad range of comprehensive online financial products and information essential to managing one’s financial life. For more information, visit http://www.experian.com.